Discover the hidden treasures of the gods! Long time ago, Dacians asked their gods to hide their threasure in the Carpatian mountains. 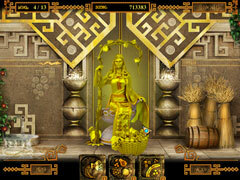 You are the choosen one, who must pass through all gods` temples and restore their look to discover the hidden threasures. 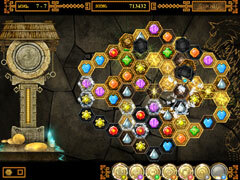 7 Gates: The Path to Zamolxes is a Match-3 game on hexagonal game board. 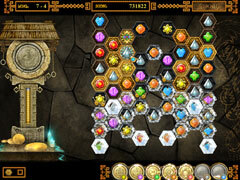 The player has to eliminate matched stones (3 or more) to meet win conditions and complete the level. Between chapters player has to solve hidden object quests.